Steve Richards is looking to bounce back at this weekend’s round of the Porsche Payce Carrera Cup Australia series following a practice shunt in Adelaide that left him a scratching from the event. In the early stages of opening practice in Adelaide, Richards became the hapless victim when Dave Stevens tagged the inside wall at Turn 8. The result of the crash left Stevens, Richards, and Duvashen Padayachee with damaged cars, the first two eliminated from the weekend. With help from Garth Tander, Richards has been able to repair the car and is set to line up again this weekend. “We’re pretty lucky, in the end the shell wasn’t damaged,” Richards told Speedcafe.com. “It’s basically saved three days work if you don’t have to pull everything out of the shell. “Garth’s been a hands on throughout his whole career,” he added of the assistance he had from Tander. “He’s run Formula 3 cars for Leanne and Tandersport operation. He’s like me, hands on as it gets. “I would do exactly the same for him so yeah it was great, it was great help. 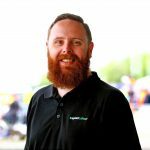 “People tend to forget sometimes because our motor sport world in Australia revolves around Supercars and how professional they are,” he continued. “The reality is the next level down is very different to that, everyone’s doing it as economically as they can and there’s lots of people around the place helping out people just for experience and just to be part of the process. 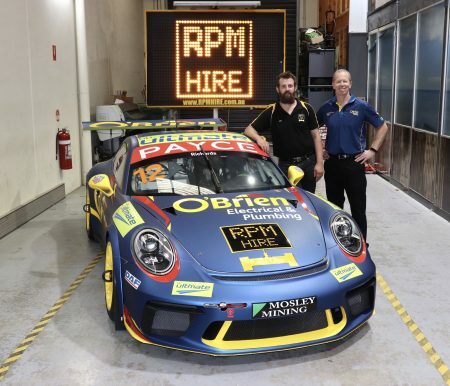 Richards this weekend boasts fresh backing on the front of his Porsche, the Supercheap Auto Bathurst 1000 winner bringing RPM Hire into motorsport for the first time. “Whenever you can get a new partner on board that’s supporting your I guess your business, we like to think we’re supporting his as well,” Richards explained. Carrera Cup’s second round begins in Albert Park at 1220 AEDT with practice before qualifying and the first of the weekend’s four races later in the day.